There will be an excellent opportunity to get lost in the '80s at the Barrett-Jackson collector car auction in Scottsdale, Arizona. 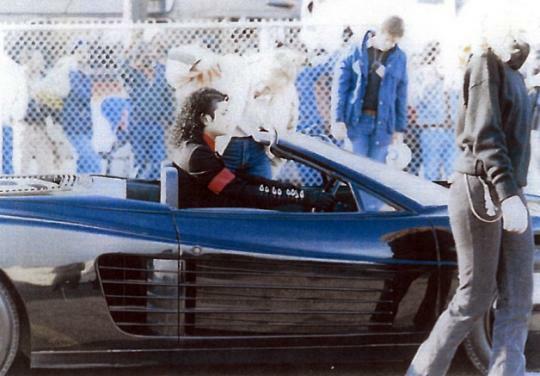 A 1986 Ferrari Testarossa driven by Michael Jackson in the 1987 Pepsi commercial "The Chopper" will cross the block along with hundreds of other desirable cars. 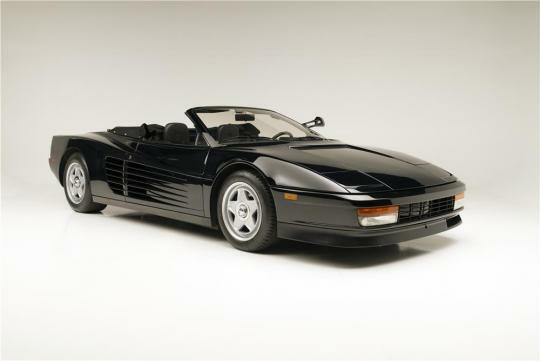 The black Testarossa was converted into a drop-top Spyder by the R. Straman Company of Costa Mesa, California for its television appearance. 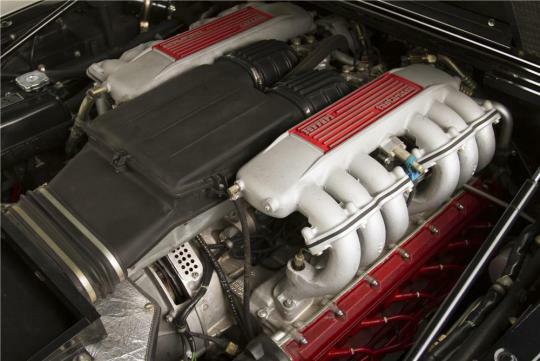 Behind the seats is a 4.9-liter flat-12 producing 390 horsepower and 361 pound-feet of torque and red valve covers--hence the name Testarossa, which means "red head" in Italian. 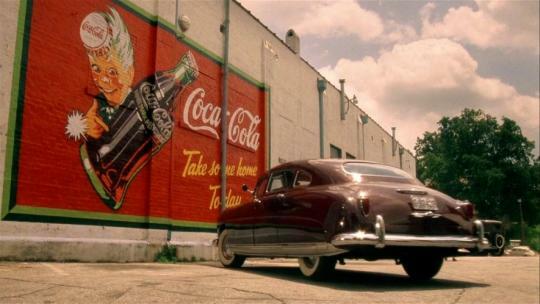 Barrett-Jackson didn't list mileage, but the car reportedly received a significant overhaul in February 2013. The Testarossa is a quintessentially '80s car. 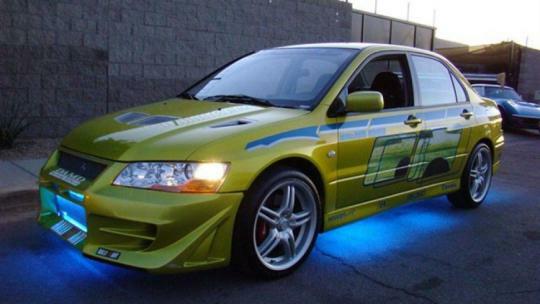 With its wide, wedge shape and cheese grater-like side intakes, it still makes quite a statement. Whether that statement is positive or not is unclear. 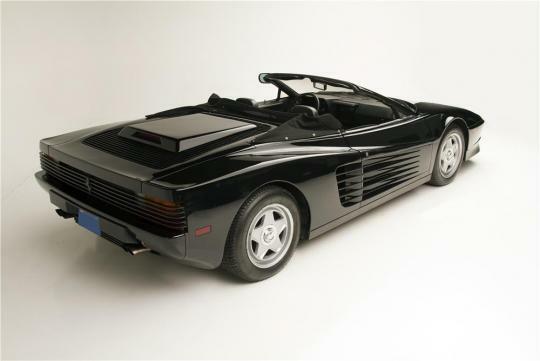 Built from 1984 to 1991, the Testarossa was probably best known as one of the stars of Miami Vice, It's even pretty fast by modern standards: it can do 0 to 60 mph in 5.2 seconds, and reach a top speed of 180 mph. 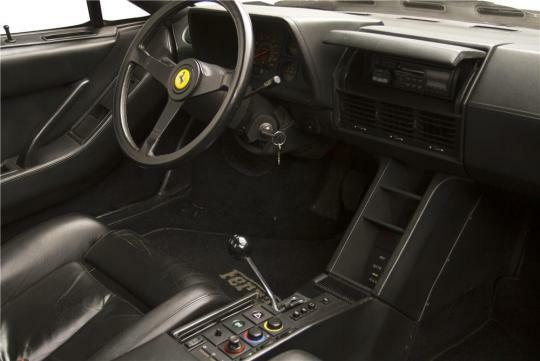 Granted, that's not even enough to outrun that other Ferrari supercar of the Reagan era, the F40. The Michael Jackson Testarossa joins a horde of other celebrity cars at the 2014 Barrett-Jackson Scottsdale auction, including Simon Cowell's 2008 Bugatti Veyron, the Hudson Commodore from Driving Miss Daisy, and the Mitsubishi Lancer Evolution VII driven by the late Paul Walker in 2 Fast 2 Furious.